Thirty years ago to the day (7th December 1987), two ancient fortifications gained global recognition in the UNESCO headquarters in Paris. Now an announcement from Heritage Minister, John Glen MP sees both those sites – Hadrian’s Wall and the Great Wall of China – sign an exciting new agreement to work together on research, education and tourism growth. Cumbria Tourism is welcoming the move, which will see representatives from these two renowned World Heritage Sites working together to examine the challenges and opportunities of managing large and complex archaeological remains and to explore the potential tourism growth in both countries. China is a key visitor market for Cumbria, with an increasing number of Chinese travellers drawn to internationally recognised sites such as Hadrian’s Wall and the neighbouring Lake District. This week Cumbria Tourism’s Managing Director Gill Haigh also joined a high-level delegation in central London to showcase the region’s appeal to Chinese visitors. The event included key influencers from VisitBritain and the Chinese National Tourism Administration, alongside Heritage Minister John Glen MP. Mrs Haigh says, “As the county’s official Destination Management Organisation, Cumbria Tourism considers Hadrian’s Wall to be one of the most important tourism products we have, so we are thrilled about this unique collaboration with another globally iconic historic site. Coinciding with the 30th anniversary of World Heritage Status, it’s an exciting time to be promoting this fantastic asset far and wide. 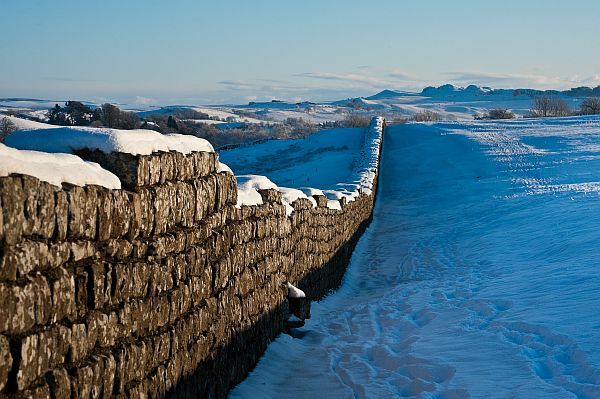 2018 will provide even more reason for overseas visitors to head to Hadrian’s Wall. English Heritage are investing £1 million into new developments and exhibitions at Birdoswald Roman Fort, with the aim of bringing families the best Roman experience in the region. Meanwhile, the Sill, near Hexham, continues to make its mark as the UK’s National Landscape Discovery Centre.